Who Distributes Electricity in Victoria? Electricity distributors are responsible for managing poles, wires, and pipes that deliver electricity to homes and businesses. In Victoria, there are five different electricity distributors for the public. Each distributor controls a different geographic region of Victoria. 1. Citipower: Citipower serves Melbourne City and the inner suburbs. Citipower supplies electricity to more than 310,000 customers in the CBD and city area with a network that encompasses 157 square kilometres. Citipower relies on advanced software to distribute and monitor electricity for Australians in Victoria, ensuring a reliable and high-quality electricity supply. 2. Jemena: Jemena serves the northern and south-western suburbs of Melbourne. Jemena currently supplies electricity to 319,000 homes and businesses in their region of Northwest Melbourne. Jemena’s electricity network encompasses 11,000 km of wires and cables that span 950 square kilometres. Jemena also supplies gas to NSW. 3. Powercor Australia: Powercor is the largest electricity supplier in Victoria, distributing electricity to 780,000 customers in central and western Victoria and Melbourne’s western suburbs. Their network encompasses over half a million poles and 84,000 km of power lines. Powercor averages higher than 99.9% network reliability, which is the best in Australia. 4. AusNet Services: AusNet Services supplies the outer northern and eastern suburbs of Melbourne, as well as eastern Victoria. Their network supplies electricity to 720,000 customers in a region of 80,000 square kilometres, using 52,000 km of wires and cables. Electricity is distributed through a high-voltage transmission grid with circulation throughout 13,000 high-voltage towers and 6600 km of transmission lines. 5. 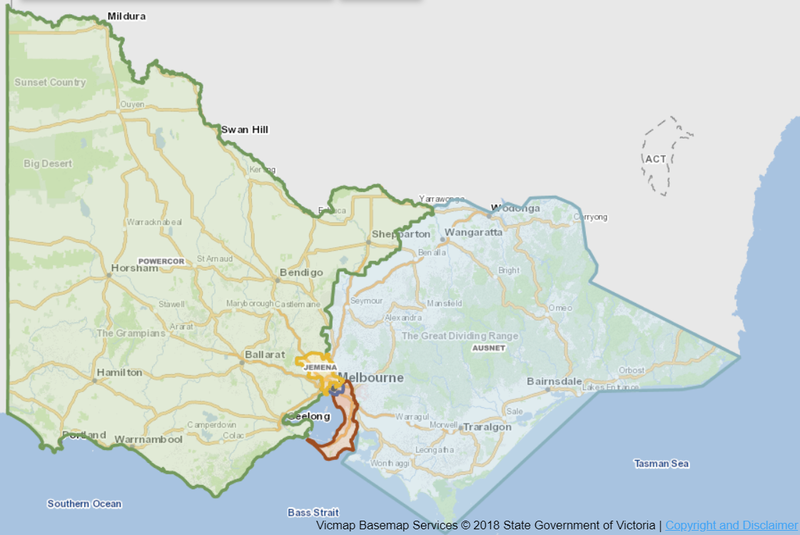 United Energy Distribution: United Energy Distribution services Southeast Melbourne and the Mornington Peninsula, encompassing a 13,000 km electricity network in a region of 1450 square kilometres. United Energy’s distribution network provides service to over 660,000 homes and businesses. Citipower: Contact 13 12 80 for faults and emergencies or 1300 301 101 for general enquiries. Jemena: Contact 13 16 26 for faults and emergencies or general enquiries. Powercor Australia: Contact 13 24 12 for faults and emergencies or 13 22 06 for general enquiries. AusNet: Contact 13 17 99 for faults and emergencies or 1300 360 795 for general enquiries. United Energy Distribution: Contact 13 20 99 for faults and emergencies or 1300 131 689 for general enquiries. Understanding which electricity and gas retailers operate on the electricity network in your area will help you to save money on your power bills. The electricity retailers in each network area all pay the same price for their wholesale energy. Compare the cost of electricity in your area of Melbourne or Victoria and start saving money. Our expert electricity comparison tool allows Electricity Wizard to track all the available offers and discount rates on electricity being offered in each of the distribution networks. We can find you the best rate so you can compare, switch, and save.